1. The dedicated major in Real Estate at Kellogg is very comprehensive. It includes a focus not just on the technical or the investment aspects of Real Estate, but also dwells on understanding Real Estate markets and global trends in the area. Students at Kellogg choosing the major go not only for the traditional Real Estate MBA career paths in development or investments, but also make successful transitions to strategy, consulting, and even entrepreneurship. And for those wondering how much Kellogg will support these ambitions, remember that Poets & Quants rated Kellogg’s Career as the world’s best in 2012. 2. Kellogg also has the Real Estate lab, a unique initiative which allows interested students in a 3-month long Real Estate (live) project. That’s pretty good, considering that most other programs will struggle to get students into internships in such a niche area. 3. The Booth-Kellogg Real Estate challenge gives further chance to hone their competitive skills on issues related to Real Estate. This is a fairly unique event specific to both management and Real Estate. These are only three reasons – there are a lot many more. The important thing for applicants though is to be able to leverage their experiences and create a winning application that can help them get into Kellogg. Here is how one of our clients did it. Harsh G always wanted to be a real estate MBA professional. After graduating from IIT, he worked with two of the most well-known project management and real estate investment firms in India. He already had great project management and real estate analysis skills. Now, he wanted to convert these skills into an opportunity at a top MBA program. Harsh began the admissions process a little late, starting after Round 1 admissions at most top schools were already over. This may not have been a huge disadvantage, but it did mean that there was comparatively less time to work on his applications. Yet, Harsh made up for this with his deep research, committed hard work, and extraordinary commitment to his applications. He was one of the hardest working and most resilient applicants we worked with all season. That, in itself, is quite a statement, as we work literally with hundreds of applicants each year. Working with GyanOne, Harsh narrowed down to three top schools – Kellogg, Yale, and McCombs (all three offer excellent options in Real Estate Management). 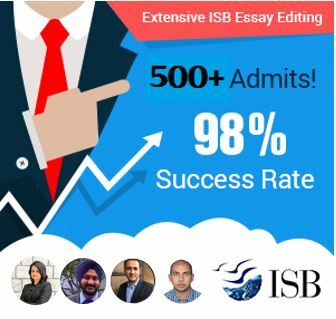 Harsh brought to his applications outstanding energy – he connected with a number of students and alumni, attended information sessions, and brainstormed with us intensely on his essay stories. While Harsh has an excellent profile (decent GMAT score, IIT graduate, good work experience, good ECA), his stories initially were not specific enough. Working with Harsh over the period of two months, GyanOne helped him to showcase his expertise in real estate, highlight his leadership potential, and portray the unique parameters of his profile. 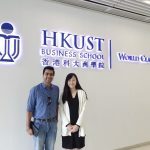 Over time, Harsh worked with us to refine his stories – from figuring out how invested capital in real estate should be used, to discussing future roles in real estate management, and in particular how the MBA and Kellogg could help him reach his goals. We went over all the particulars that a Real Estate professional looks at when considering a business role – the importance of an MBA, the variety of roles available (developer, investment, internal strategy, and operations), and how Harsh could get to these. One of GyanOne’s consultants, with an excellent understanding of real estate in India, helped Harsh as he worked through his applications. A testimonial to make us blush! Come January, and it was time to submit. Literally till the last moment, Harsh worked with us to get every word on his application right. His satisfaction with the process, as well as with the consulting he received in this testimonial we received from his before any of the results were even on the horizon. This is truly one of the testimonials that makes us blush! It was an absolute pleasure working with you. Really appreciate all your help. Coming this far would have not been possible without you. Be it late night or early morning calls, working multiple times over the same application, accommodating all last minute changes , taking up the task of crafting so many stories all by yourself and acceding to all my requests ( even if unfair at times 😉 ), you did it all for me. You were a great motivator. At times when I was considering giving a miss to some things, you motivated me to stretch the limits and complete my application in the best possible manner. Albeit, I am still to hear good news, I am very confident of encouraging results. I have conviction that we submitted a very strong application from our side and that is indeed all we could have done. Will definitely keep in touch with you and reach out to you for your further advise. Just waiting for invites now so that I can again get associated with you for the interview preparations. You to me, is the best person I could have come across in preparation of my school journey. I consider my self privileged and fortunate that I worked with GyanOne. Look forward to our further association and grand success. In a related post, we cover Harsh’s interview preparation. 1) School selection matters. You are not just going in for a generic MBA education here, but for a very specific and special type of MBA which also involves components of Real Estate management. Delve into the aspects of the program to see if it will give you what you are looking for. Not every Real Estate MBA will do that. 2) Get to know your schools. Attend information sessions and webinars, interact with alumni, and get a good bearing on whether the school can help you achieve your career objectives. 3) Start early on your applications and prepare to revise your ideas and your drafts many times over. We cannot emphasize enough the value of this. Do not keep waiting or delaying the decision once you have determined that you wish to apply in the current year. 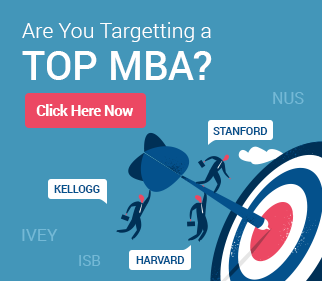 If you are a Real Estate professional looking at a top MBA program or even exploring options available to you through the MBA route, contact us today at: info [at] gyanone [dot] com.